Practicing martial arts encourages self-discipline, increases self-esteem, instills respect, improves listening skills, boosts socialization skills and develops the concept of teamwork. 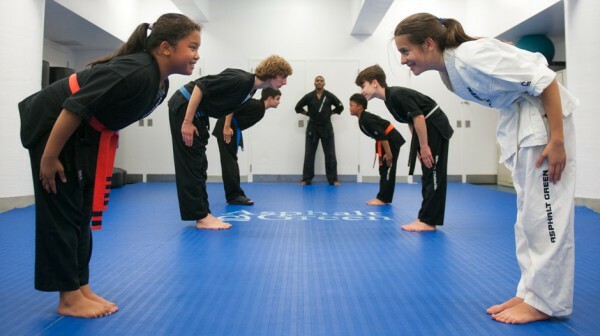 Asphalt Green offers martial arts programs for children and adults. Our classes use methods and techniques from various martial arts styles, including karate, boxing, taekwondo, jiu-jitsu and Muay Thai. Our dedicated martial arts studio is equipped with the most contemporary training equipment (pads, bags and mats) in the martial arts industry. View the upcoming calendar of activities martial arts participants will experience here. To learn more about our MMA and Self-Defense, and Women's Self-Defense offerings for adults offered at our Upper East Side campus, visit our adult martial arts page here. 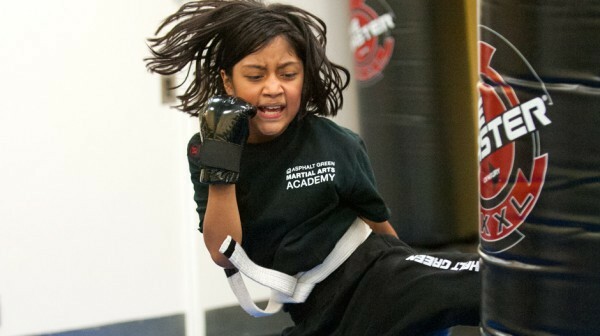 Asphalt Green's youth martial arts program uses methods and techniques from various martial arts styles. Our 10-month martial arts membership introduces young athletes to various styles including karate, MMA, jui-jitsu, and muay thai.